Click the image below to view the full data sheet. 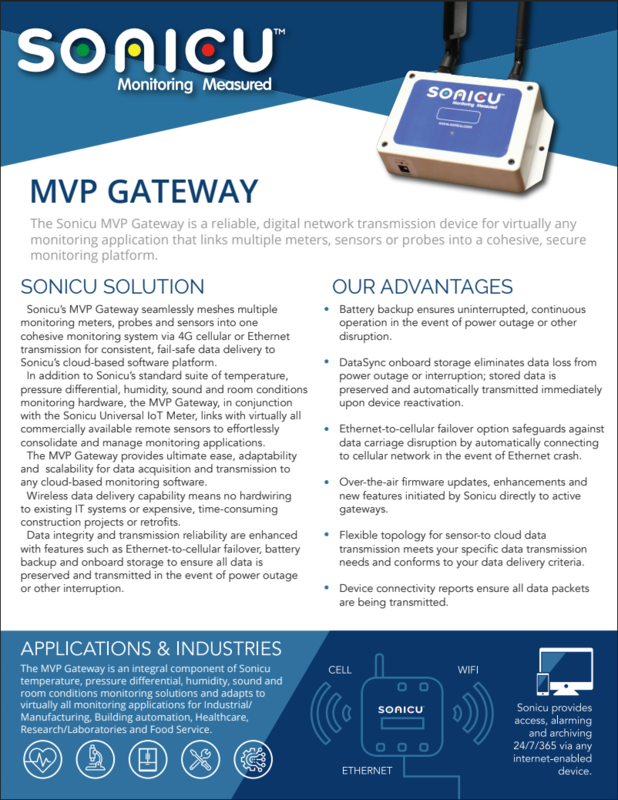 cohesive monitoring system via 4G cellular or Ethernet transmission for consistent, fail-safe data delivery to Sonicu’s cloud-based software platform. The MVP Gateway provides ultimate ease, adaptability and scalability for data acquisition and transmission to any cloud-based monitoring software.